Over the past six months or so, I have been active in protesting the Australian Government’s support for developing Adani’s Carmichael coal mine in central Queensland. 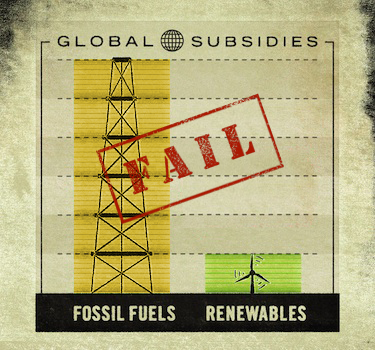 Paving the way with moneyed infrastructure and free water to dig a filthy great pit of poor quality coal to ship in huge quantities in dubious rustbuckets through the Great Barrier Reef to burn in Indian power stations that are barely profitable is just wrong and indefensible on so many levels. 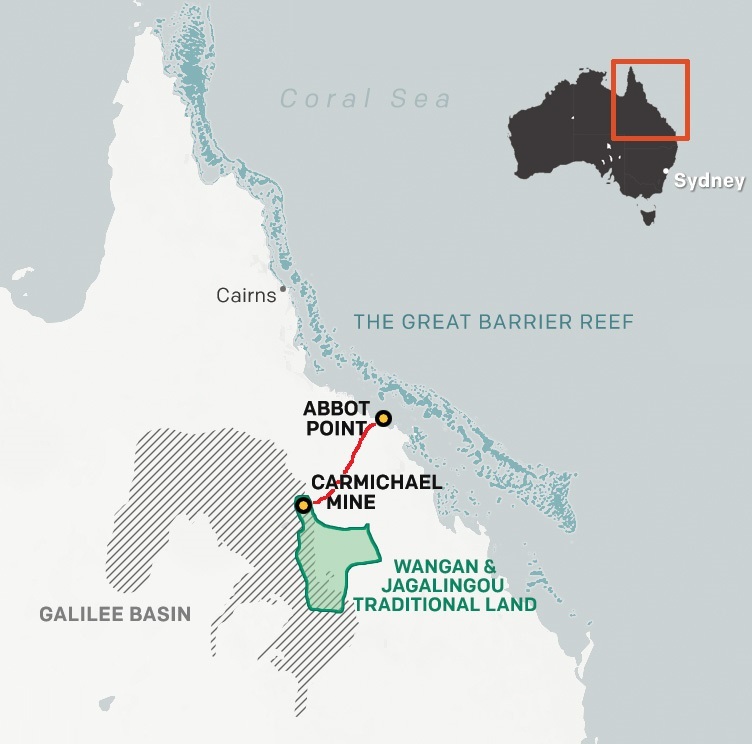 The Australian and Queensland Government’s strategy to date has been to rely on sheer inertia, and a catch cry of “ten thousand jobs” (which are inflated ten-fold, on Adani’s own figures. And never mind the 90,000 jobs at risk from damaging GBR tourism). However, I don’t want to go through the full details here. For that. I will refer you to the Stop Adani site. 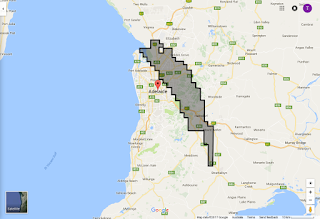 Instead, I want to offer another perspective: how big *is* this biggest mine in Australian history? From a recent conference I attended, I have learned that many activists speak of arguing from the head and from the heart. Students of Socrates would immediately recognise these traditions as logos (appeals to logic) and pathos (appeals to emotion). In practical terms, you will have difficulty persuading the head until you engage the heart. This article is an appeal to the heart. 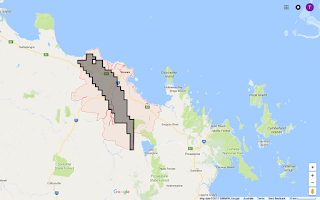 In giving presentations to audiences, one thing that strikes me is how abstract it seems to talk about the biggest coal mine in Australian history, and then wave vaguely in the direction of central Queensland, which covers a vast amount of territory. I find it helps to offer some visual perspective on whereabouts and size. I will begin with a simple map of Queensland. 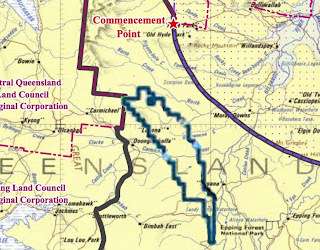 It shows the Wangan/Jagalingou lands, the Galillee Basin (where even more coal resides), the location of the Carmichael Mining lease, Abbotts Point, and the railway being proposed to connect the two. 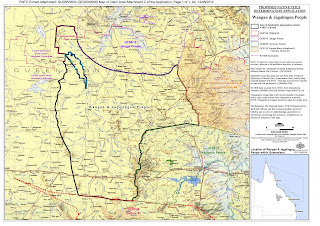 Zooming in a bit, we can see whereabouts in the Wangan/Jagalingou land the lease is located. A little bit more, and we have the lease footprint itself, plastered over the Carmichael river. Now you know where it is. 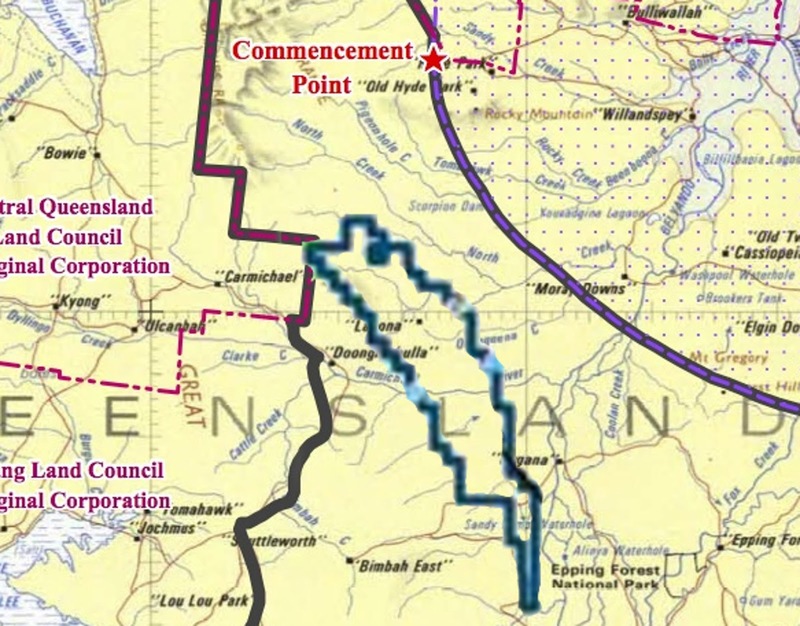 So what does it mean to call it the largest proposed mine in Australian history? I think it highly instructive to take Carmichael on a national tour, and have some ‘city selfies’ to see what Carmichael would look like in the back yard. Let’s begin with the City of Bowen, conveniently close to Point Abbott. Carmichael snuggles in nicely. Who needs a billion dollar railway now? Maybe it would look better cutting the reef off? Next stop: Brisbane! 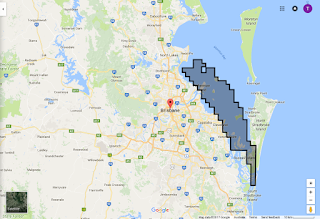 Who needs Moreton Bay when you can have a pit, eh @AnnastaciaMP? Moving down to Sydney! 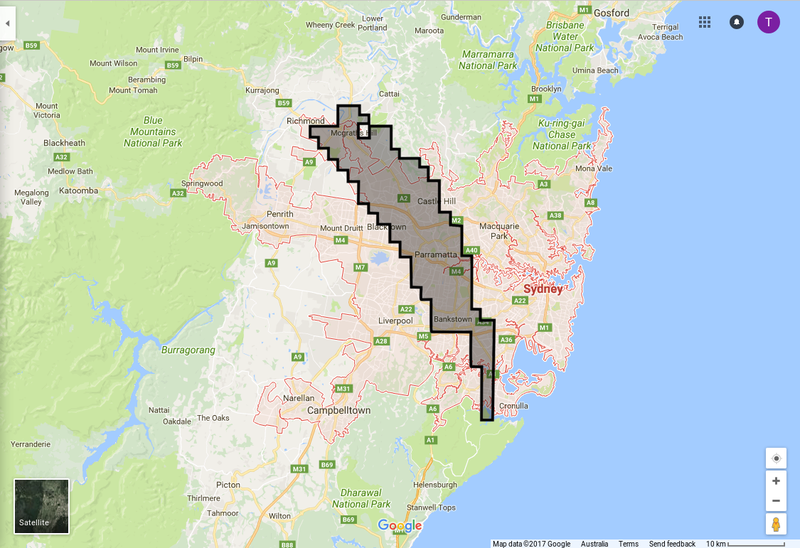 Spans Cronulla to Richmond. 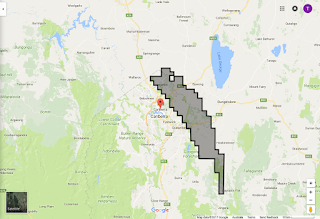 Canberra, and Queanbeyan would be swallowed without a trace. Is that a metaphor I spy? 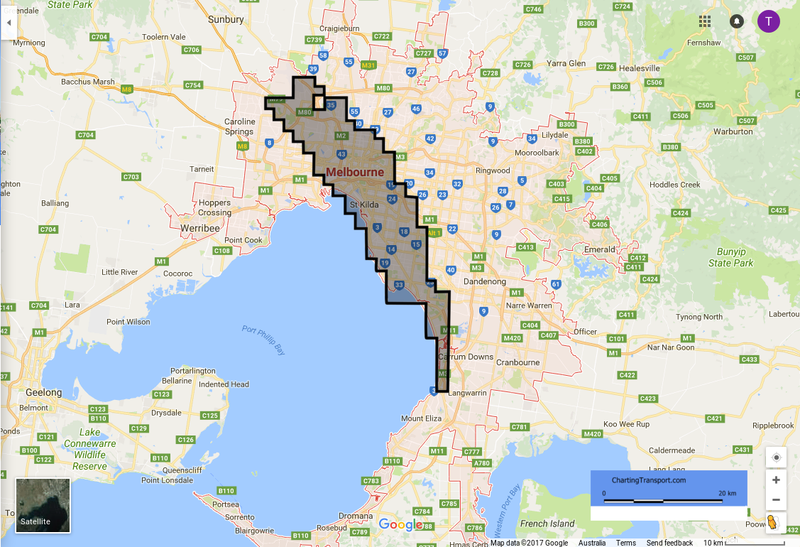 In Melbourne, Carmichael may not fit in Port Phillip Bay, but you could use it to travel from Frankston to Tullamarine. 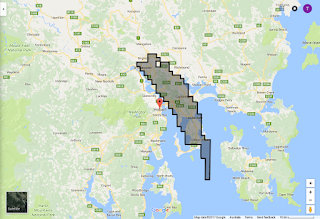 From New Norfolk to Hobart and beyond: Carmichael on the Derwent. 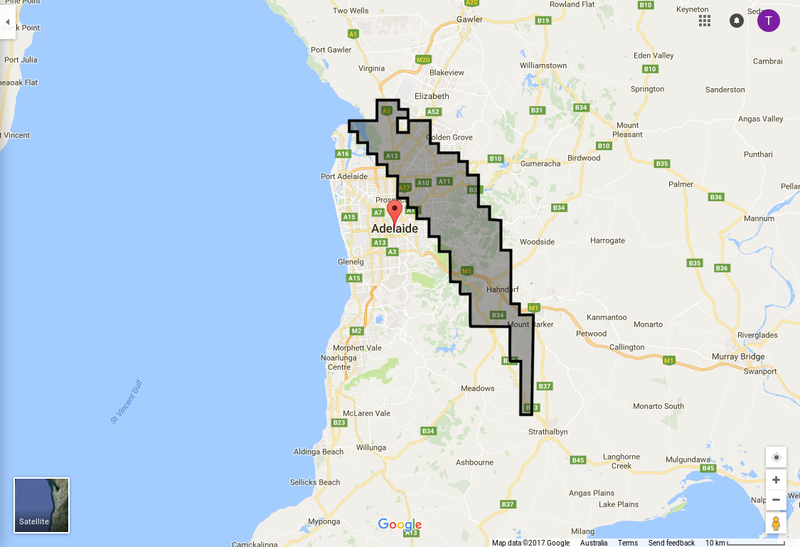 Adelaide, Elizabeth, Mount Barker, and (nearly) Strathalbyn. 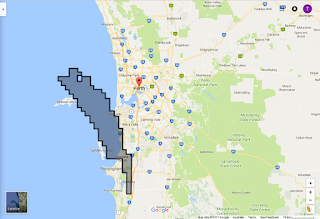 Perth: what’s that off Fremantle, and Kwinana, and Rottnest Island, and... ? Darwin to Humpty Doo is only the halfway mark! 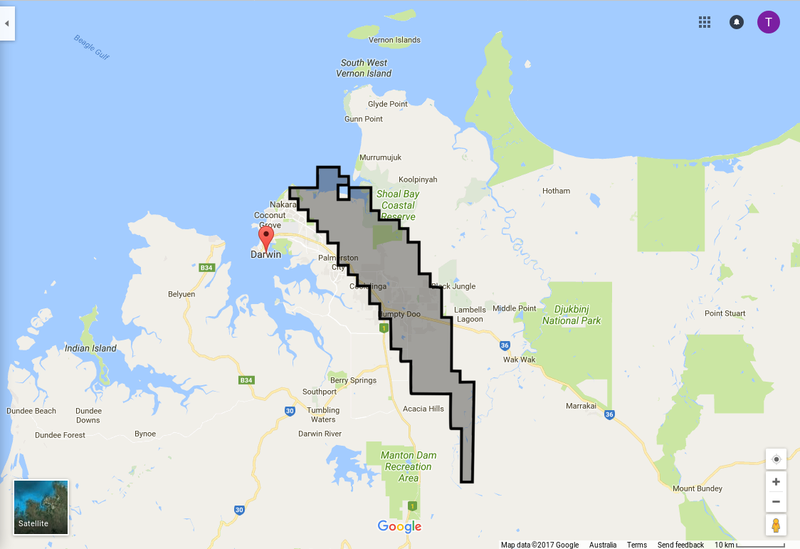 So now you know what they mean by the biggest (but certainly not the best) coal mine in Australian history. What do you want to do about it? Part of the 350 Campaign to 'Connect the Dots' on climate change. May 5, 2012 in Melbourne is a cold, drizzly wet autumn day. Nothing out of the ordinary. 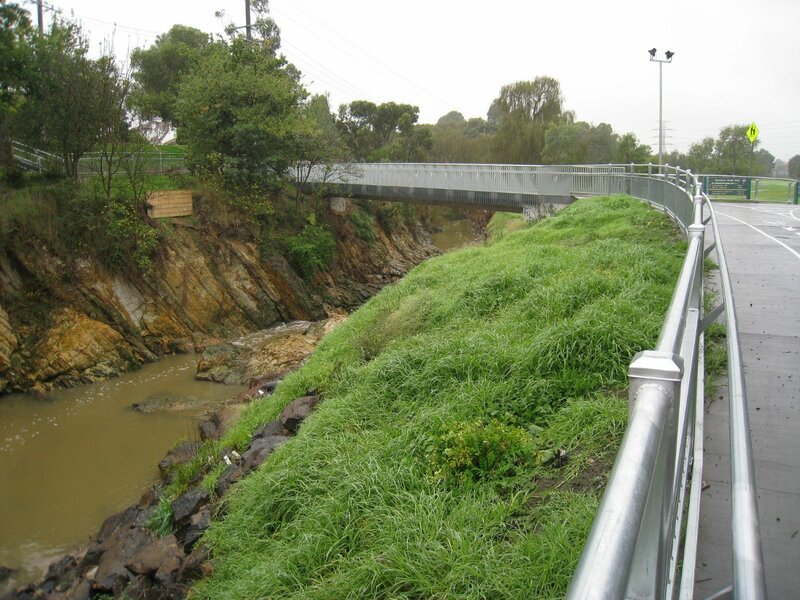 The new Solway St. Footbridge. Site of old one is visible to left. Yes, the old bridge was due for retirement. It happened in January 2011, when it was removed, not by a city engineering crew, but by a flood. My personal experience of this flood was to watch a curtain of solid rain descend on my house. It rained, solidly, for 12 hours. A local park became an impromptu swimming pool. A bridge was washed away. Elsewhere, vast areas of Victoria were under water. They remained so for months: the first promising crops after ten years of crippling drought utterly ruined. This flood was a strange confluence of events: a cold front, crossing the Australian Bight, met a huge mass of moist air heading south, and streamed it into the south eastern corner of Australia. a category 5 cyclone (Yasi) which came out of the Coral Sea to strike the North Queensland coast near Cairns. 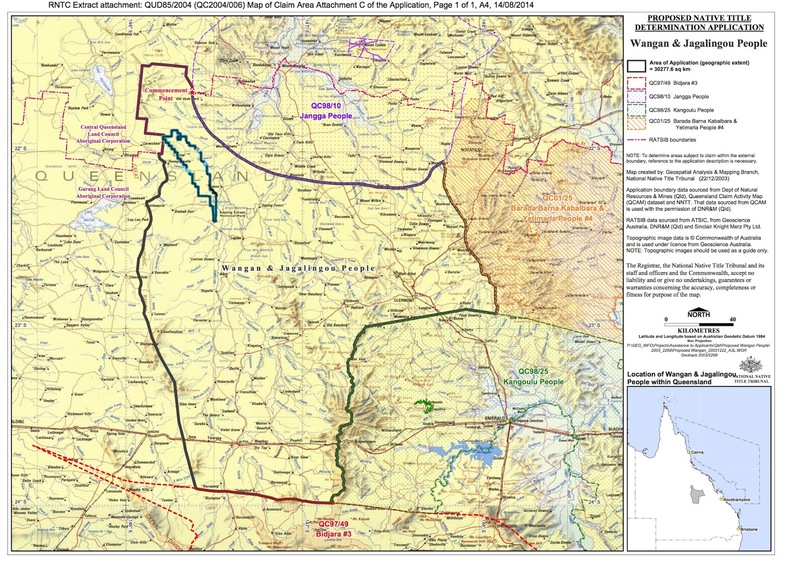 It's power can be gauged from the fact that it was still rated as a cyclone 24 hours later, when it reached Mt Isa. It was this cyclone that came south, bringing its own moisture with it. an already moist airflow south across Australia like a massive uncontrolled garden hose. Was it just a fluke? Wild weather? Weather is the quality of the day. The systems that caused this minor calamity (and considerably more major catastrophes elsewhere) had lifetimes measured in months. The crux of this story is about a local insignificant bridge. The theme is about how events sprawled across an entire continent and its surrounding oceans can come to have such a local effect. I've laid out some dots for you to connect as you see fit.